Look at this precious little face! 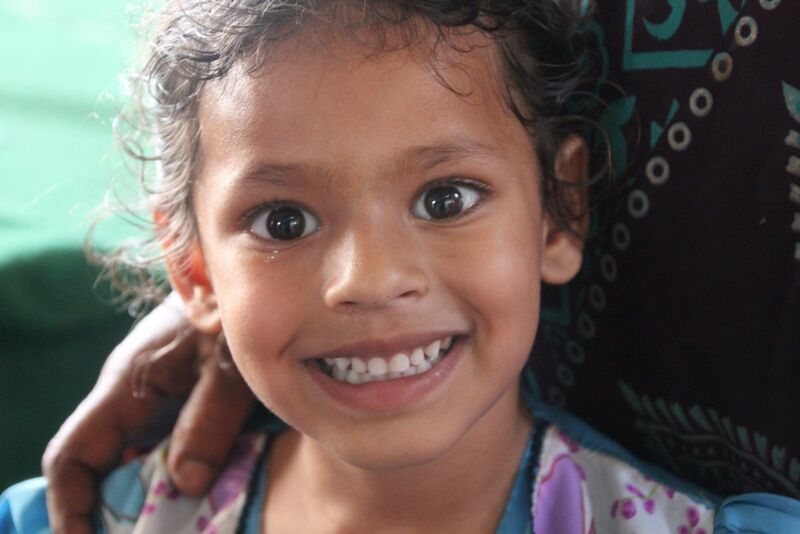 This is Theresa, a little girl discarded by her parents but treasured by God. When Theresa was born, her Hindu father commanded her mother to “throw her away” or he would kill both the mother and the baby. In fear, her mother put her out on the street as a newborn baby. But our loving, heavenly Father chose to save this one from sure death on the streets of India. A widow woman in PJF’s church went and got baby Theresa and has raised her, with the help of the church, to the beautiful age of five. Each day, as we would go to the main Children’s Bible School (CBS), we would see Theresa walking down the busy street with her mother and another lady—headed to CBS to hear the life -giving stories of Jesus Christ. At the end of CBS, we met with this woman, encouraged her, prayed with her, and cried with her. We were so overwhelmed by the love of God in her heart and with the little soul she so bravely rescued. 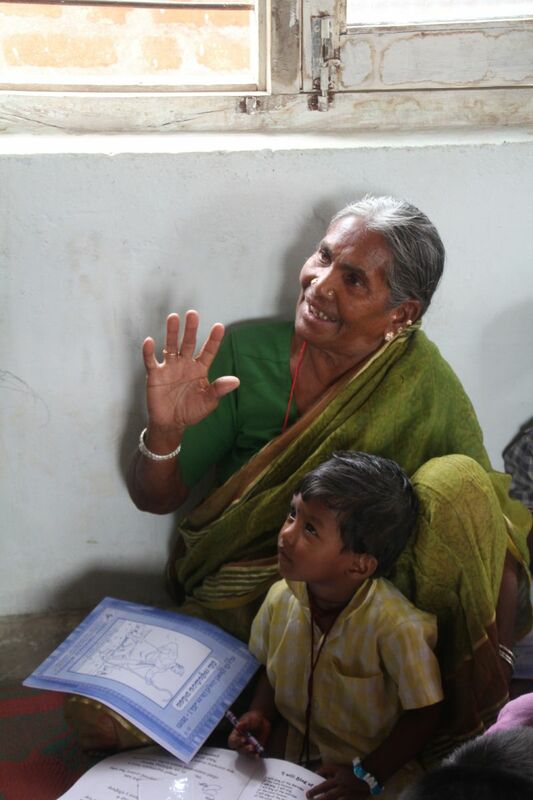 Pray for Theresa’s mother, Sarojani, who is suffering from kidney problems yet continues to care for little Theresa. 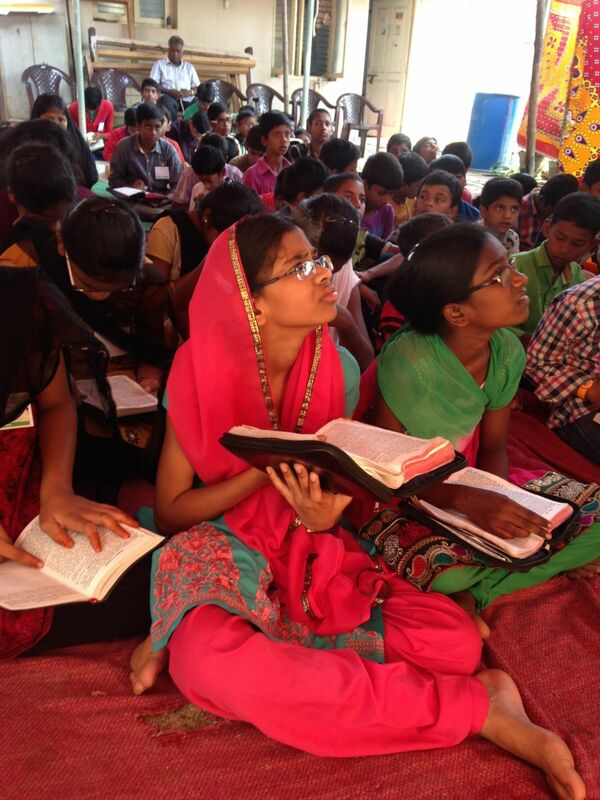 By God’s grace this is our fifteenth year of doing Children’s Bible Schools in India. We began our three-week program reflecting on the faithfulness of God. We have been so thankful that year after year He provides the support, protection, and passion needed to reach the hearts of the little children. Our heavenly Father will go to any extent necessary to bring the Gospel to one hungry soul. God has called us “into fellowship with His Son.” The word "fellowship" means “joint participation.” As we participate with Him, become actively involved in His work of reaching lost souls, we discover a closer fellowship with Him and with each other. This year’s team consisted of Kim, Janet, Jeanie, Desiree, Alli, and Mikal. They all were such willing and happy servants, pouring themselves out in the summer heat of India in order to share the greatest story ever told with little brown faces. As all seven of us were staying together in a crowded apartment, I was so refreshed by the fellowship and encouragement that existed among us. The love of Christ kept smiles on our faces and fellowship in our hearts. Of course, we are in India through the invitation and hospitality of PJF and his team of workers. They are serious about evangelizing the lost and dying of this world and aid us in so many ways! We are so blessed by the hospitality they show to us. This elderly lady brought her grandson to one of our village CBS and sat with him in the front row listening intently. We spoke with her a little bit through the translator. She said her eldest son beats her for worshipping the Christian God, but still she comes and does her part to lead her grandson in faith towards Jesus Christ. Last year, there was a radical change in the federal government of India. They have openly declared their desire to see India free of Christians by the year 2021. This last week, the government sent out printed material telling all households to daily read the Hindu holy books and to worship the tulasi plant in their homes. All of these actions are designed to control the hearts and minds of the people, to stir up hostility and anger toward Christians, and to shame them and make them feel outcast from their culture. Please pray for our brothers and sisters in India. They are some of the most beautiful and gracious Christians you could ever hope to meet, with a strong trust in our faithful Lord! Many of them share in the sufferings of Jesus Christ for the privilege of knowing and serving Him! 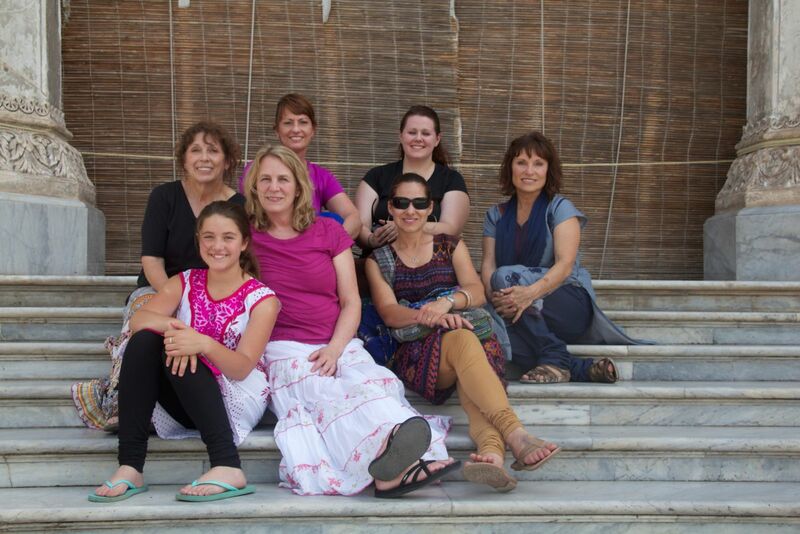 During our last week in India, only Kim and I remained behind to do one-day programs in the villages. As we drove long hours over bumpy roads to reach our destination, PJF often shared stories of the struggles that village pastors in India face. With many of the villages, he would warn us to go quickly from the car to the church since we were entering a hostile area. This is just everyday life for the Christians in India. We could learn a lot from their boldness in the face of persecution. When I think of the time, energy, and money that has gone into this ministry over the past 15 years, it is mind-boggling. We prepare for months and teach for weeks; then we walk away, get on a plane, and leave it all behind until the next year. We see little fruit from the work with our own eyes. 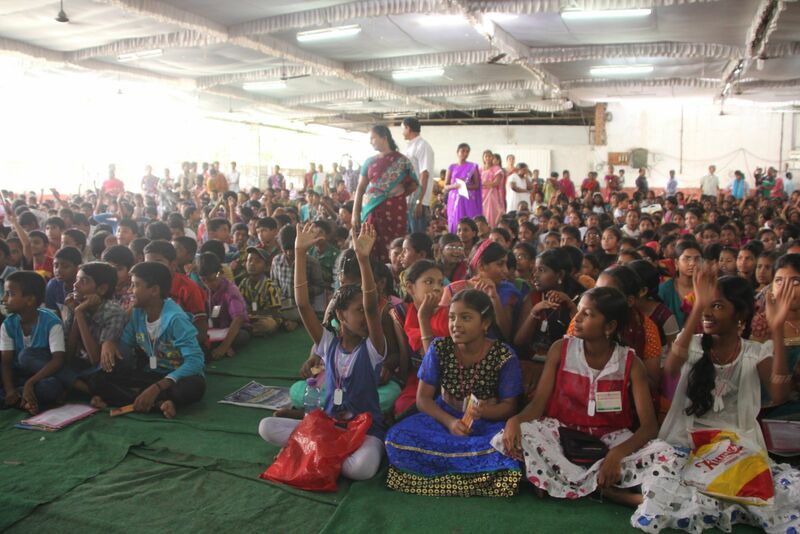 This year, God seemed to open the doors of encouragement to us, starting with the Northern Virginia Bible Conference where a young Indian man attended. I was in Australia at the time with our newborn grandson, and Gene called and said “one of your students is here.” It was a young man named Manikanth who had attended our CBS since 6th grade and is now working in New York. He wrote me an email expressing how much the teaching, over the years, had influenced his life and walk with Jesus Christ. Once I touched ground in India, we kept hearing the same story from many young people. We recognize faces year after year, though they grow and mature, but we do not know the working of God in their lives after we depart. This year, so many young adults came up and said “thank you, Aunty” for the many years of teaching they had received. Some now have their own children in CBS so we are teaching the next generation. One young lady even travelled back from another state to relive her CBS memories with us. As God saw fit to confirm for us the work of our hands, I thought about how many hands He was confirming! He, alone, knows the numbers—for so many of you have reached out with giving hands to financially support the work. He has multiplied your offerings. So many have folded hands in prayer to ask the Spirit of God to work in the souls of young children. He has heard and answered, and souls have been saved. Artistic hands have helped create visual aids and books that help the children visually grasp and remember biblical principles. So many hands have printed, colored, laminated, cut, and prepared thousands upon thousands of memory verses and crafts over the years. As these materials are sent back into homes and hearts, He confirms your handprints now lying in Hindu, Muslim, and Christian homes throughout India! I just wish you could see—with tears in my eyes I wish you could see! You do see, through faith, or you would not continue to help in so many ways. Your faith is greater because the team and I see with physical eyes, but you see with eyes of faith. Often, when we close our teaching, we invite the children to visit us in our mansions in Heaven. We say, “When you get to Heaven, come and knock on our door, and we will invite you in. We can have tea and biscuits (cookies) together, and we will be able to talk together and be the best of friends!” They always cheer and clap at the thought of being invited into our homes! It’s so cute. I would like to extend an invitation to each of you as well. When the little children of India come knocking on the door of our eternal mansions, will you please come too? I want you to meet the faces and souls of those you have prayed and sacrificed for, yet never met with your own eyes. I think you will love them as much as we do. Oh, what a glorious day it will be! "O … let us exalt His Name together,"